Jobu Gives his take on the sale and moving of the Houston Astros… What’s the final verdict? The Houston Astros. Basebal’s lovable losers. They haven’t finished over .500 since 2008, and they haven’t made the playoffs since making it all the way to the World Series as the National League Wild Card winner in 2005 (they lost). After trading away all of their veteran talent last season, this team seems ready to fully accept being in rebuilding mode. So what did ownership decide to do after gutting the team? They sold the franchise to new owners who agreed to move the Astros to the American League West. It is with joy and sympathy that I welcome the Houston Astros to the American league. I look forward to the Yankees winning six to ten more games in 2013. Like in everything else, there are positives and negatives to this move, and I am going to do my best to shed some light on a few of both before I make my final decision on how I feel about it. 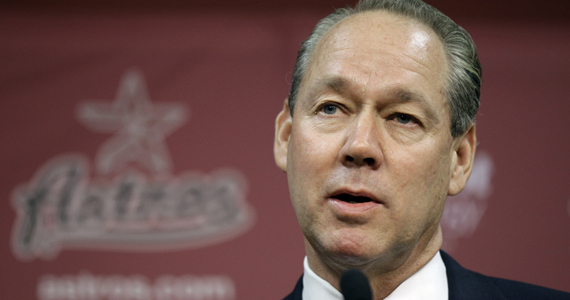 New owner Jim Crane will carry the Astros through the next step in their evolution. One obvious positive is that this move will balance the leagues and the divisions within the leagues. The current alignment has fourteen teams in the American League (five in the East, five in the Central and four in the West) and sixteen teams in the National League (five in the East, six in the Central and five in the West). How did this happen? Well before 1993, the AL had fourteen teams and the NL had twelve. The Marlins and the Rockies were added in 1993 to give each league an even fourteen. Then in 1998, each league got another new team to make things even at fifteen, right? Wrong, because in 1997, for some reason, the Brewers switched from the AL to the NL. So that’s how we go from having even leagues to now the NL having the advantage. At it’s very core, the Astros move brings things back to even. Each league will have fifteen teams, and each division will have five teams each. This will make schedules more even (everyone playing everyone the same amount of times, and having equal teams in all the divisions also makes the addition of the two new Wild Card playoff spots run a little smoother too. Perfect harmony. Another positive is that this move creates a brand new and somewhat exciting rivalry between the Astros and their in-state neighbors, the Texas Rangers. These two teams already face each other during interleague play, but from 2013 on (assuming the Astros succeed in rebuilding), their games will actually mean something, and there will be a lot more of them. I think adding a year-long rivalry can bring nothing but good things to the teams and the league as a whole. Finally, at least one new job will be created. 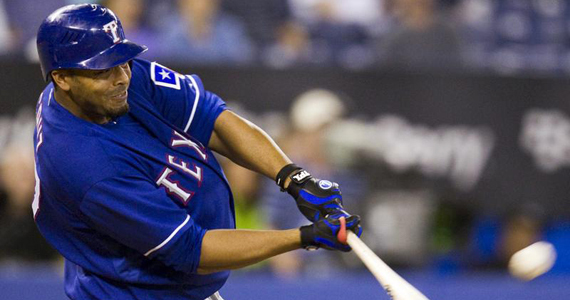 Come 2013, the Astros will need a Designated Hitter. Now aging veteran players will have one more team to choose from. Add that to the fact that we have one less set of pitchers to watch flail around on offense (and risk injury), and I think that’s a big positive as well. If the Astros had been in the AL in 2008, Chien-Ming Wang maybe have an extra 40 wins and a World Series Ring on his resume. Unfortunately for Astros pitching, there’s some tough new competition on the horizon. The big negative I have heard about, and I’m not entirely sure it is one, is that there will now be an interleague series going on every day of the year. To be honest, I don’t know if it’s a negative because I don’t really understand why it has to be scheduled that way. To me it seems like a better idea if we’re not blocking series into week-long road trips because AL teams are not meant to play two or three series in a row without their DHs. However, I do feel that this might take away from the novelty and excitement of interleague play. If it’s just another series on the schedule, and not part of a big event road trip, is it as cool? 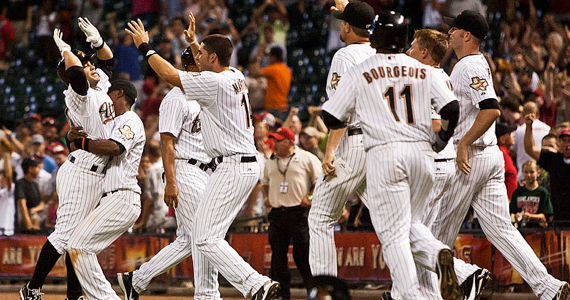 The rest of the negatives seem to only affect the Houston Astros themselves. First of all, they’re leaving the National league. They won’t get to face teams like the Pirates, Cubs, Giants and Padres anymore, and they won’t get to pitch against opposing pitchers anymore either. The Astros will be going from a pitching friendly environment, to facing the Rangers and the Angels ten times a year in one of the best hitting ballparks in all of baseball. Additionally, their other ten games against the Rangers will take place in Arlington, which is another great hitters’ ballpark. The Astros will now also have to play series against such slugging teams as the Yankees, Red Sox and Tigers six or seven times a year. ERAs in Houston will surely increase. This team only won 56 games last season. They might not have even made it to 50 playing int the AL. It will also be strange to see the Astros in the NL. Already current and former Astros are complaining because they think the Astros are a National League team. Guess what, they said the same thing when the Brewers moved to the NL, and now, not even fifteen years later, no one gives a crap. Overall, I think what’s best for the league is what’s best for each individual team, and not the other way around. The Astros might take some lumps their first five years in the American League, but they’ll rebuild and eventually be contenders again. Fans will love the heightened rivalry with the Rangers, and they’ll get to know and hate some new rivals too. Overall, the league will be easier to schedule and, therefore, more exciting and fan-friendly. I’m sure there will be some bumps in the road, but in ten years time no one will even remember when the Astros were in last place in the NL Central. They’ll be too busy crying about them being in last place in the AL West.